Put that London porter down for a moment, and embrace the best libations that London has to offer, that hail from overseas. A saucy Soho stalwart, The French House wears its heart on its sleeve — a steaming cassoulet of sozzled bonhomie, complete with Galouises-varnished ceiling and sepia prints of old vaudeville acts and trapeze artists. 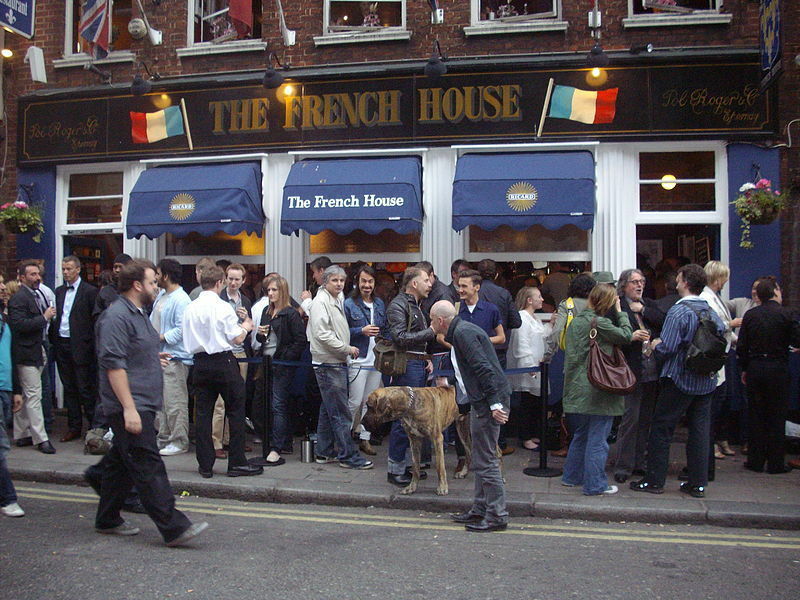 We've never seen The French House when it's not spilling noisily onto the street — but beware: using your mobile phone is a grande non-non. You may order a bottle of the Canard Duchne champagne, but most patrons get to know one another over a sharing bottle of chilled Breton cider. After a couple of these, you'll be best friends for life. So beloved is Peruvian pisco sour in London these days, it has its own dedicated week. 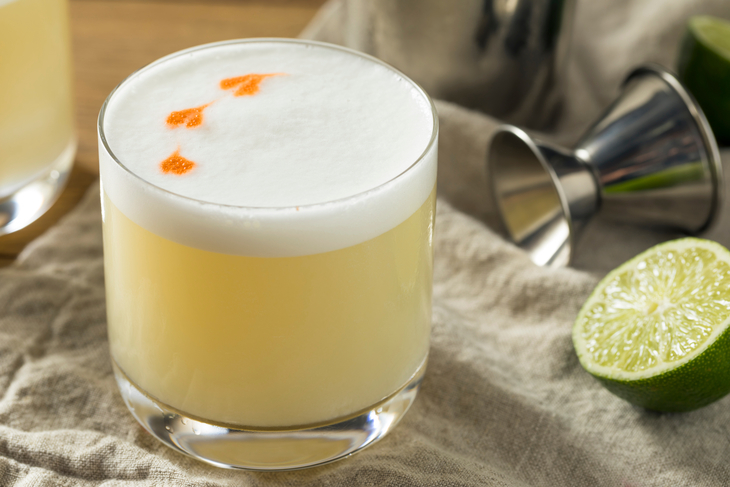 At Tierra Peru in Islington, you can pucker up and slurp down a pisco sour, made with Pico Quebranta, lime juice, sugar syrup, egg white and bitters. Or sample the selection of piscos neat, until everything goes a bit misty and you imagine you've wandered upon Machu Picchu. At which point it's time to go home. We won't wade into the whole who-invented-vodka debate — but the Polish certainly know how to have fun with the stuff. 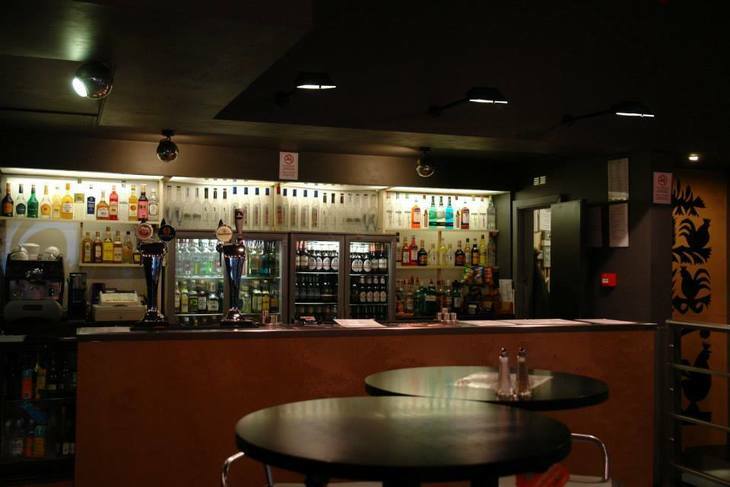 Exiting Holborn station, slip down a side alley and into Bar Polski. Pull up a stool and work your way through the panoply of flavoured shots: bison grass, quince, lemon drop, walnut, honey, pineapple. Your mouth will be overwhelmed — so too will your head. 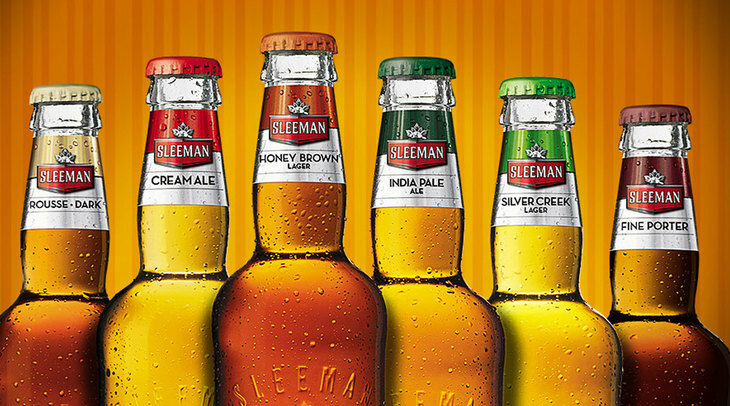 Icy Canadian beers — including the copper-hued Honey Brown lager — are poured out up alongside poutine and meatloaf, at this Covent Garden boozer. Fill your face while watching Canadian hockey players get their teeth smashed out in NHL games broadcast live on screens. Make sure you order plenty of beer if you go for the 2kg portion of chicken wings, doused in 'Suicide Sauce'. Cubana claims to have introduced the mojito to the UK back in the 1990s. Whether or not that's true, it's certainly the best place in London to knock them back. 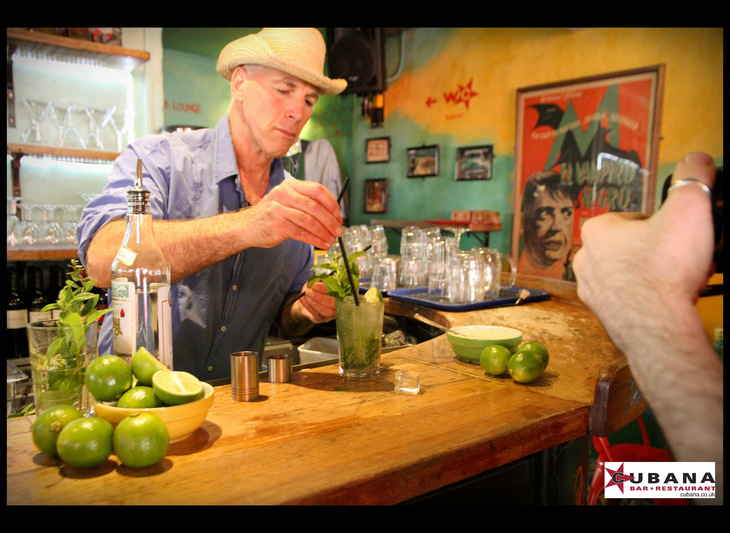 Freshness is the key here: lime juice, raw sugar cane and mint muddled in with quality rum — not to mention live Cuban grooves, cool as you like. Despite the lashings of liquor being served up, this is one club on a Friday night where the people dance well. You'd be amazed what you can find on a housing estate in Camberwell. 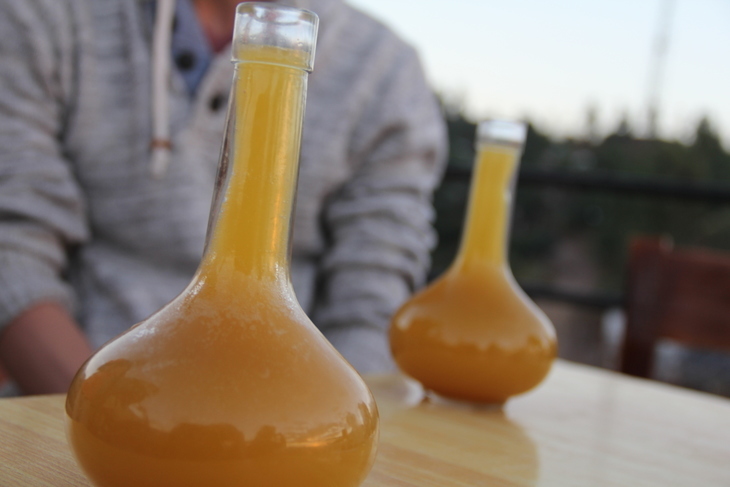 Aside from the humungous discs of sour, spongy injera bread served up with dollops of 'wat' stew, Zeret Kitchen makes its own honey wine. Tej, as it's called, is deceptively drinkable owing to its natural sweetness, and makes watching buses plough up and down Camberwell Road a lot more fun. As for after dinner coffee at Zeret: that comes as part of an age-old ceremony, in this case interpreted with frankincense and popcorn. 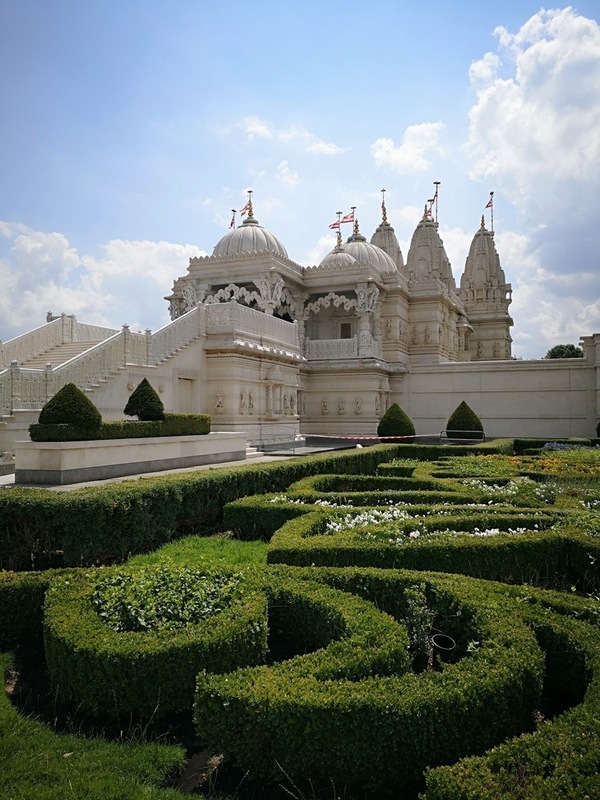 After worshipping at Neasden's BAPS Shri Swaminarayan Mandir, many Hindus cross the road to feast on dishes of paneer and dosa at Shayona. It is, after all, the site of the former temple — replaced in the mid-1990s by the huge marble 3D jigsaw puzzle, which now gleams for miles around. The lassi menu is exceptional, including rose, mango and salted. If you're in a really savoury mood, order the chaas, a sour buttermilk drink, flavoured with chilli and speckled with cumin seeds. You might say the Italians created London when the Romans built Londinium around AD 43 — so it's only right we raise a glass to them with a libation they invented. We can safely say that amphoras of Aperol weren't stashed away among the fish sauce on the first boats that first came over here, but the spritz has become a staple of summer London boozing. 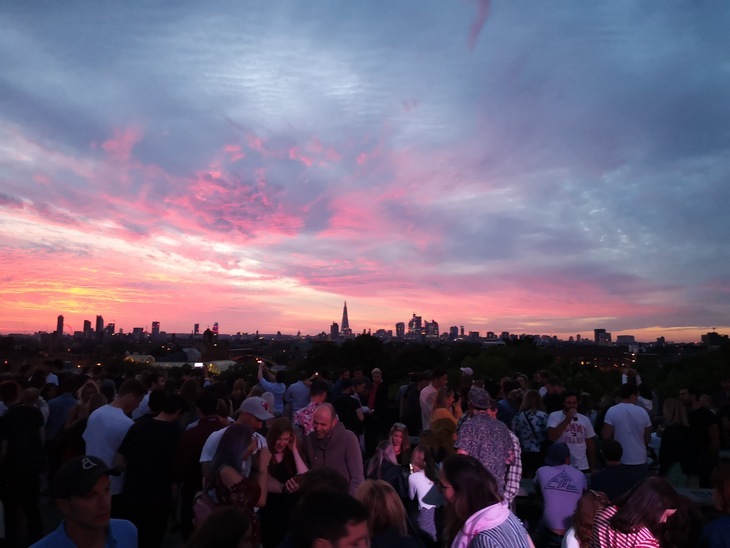 Where better to drink it then the top of a car park in Peckham, from where you can survey that city, once known as Londinium. The sickly waft of shisha pipes and steaming hot mint tea transports you instantly to Marrakech or Beirut. Except this is Edware Road, a bustling thoroughfare in the middle of London. 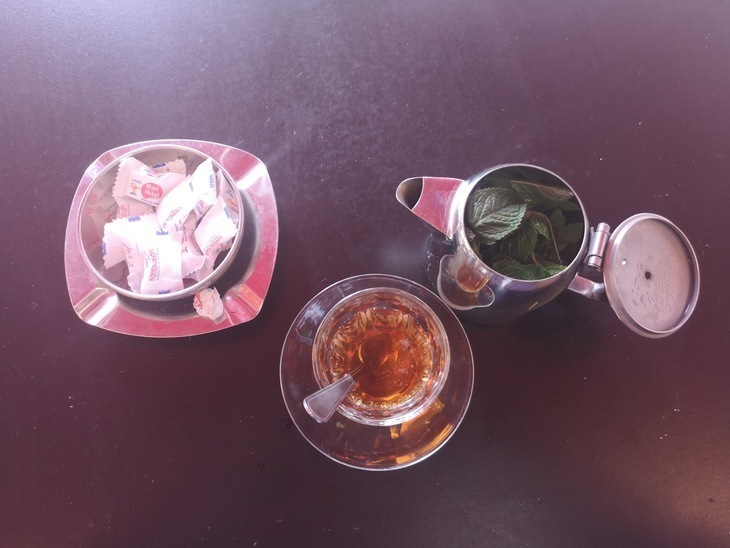 Pull up a chair outside one of the many cafes, order a mint tea crammed with fresh mint leaves — and listen in to the Middle-Eastern chit-chat over the roar of traffic. This is one time not to stint on the sugar, by the way. You'll require at least five cubes. 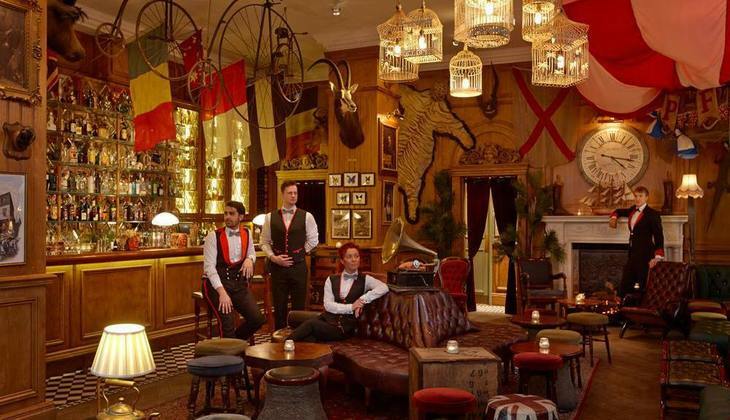 In the Jules Verne classic Around the World in 80 Days, Phileas Fogg sets off from Pall Mall's Reform Club, with an impossible adventure in his sights. 15 minutes walks from here in today's London is Mr Fogg's Residence; festooned with hot air balloon baskets and crocodile skins, it pays tribute to Verne's derring-do creation. Here, you can travel around the world, without clambering out of your leather armchair — courtesy of a list of 80 exotic potions. Try The Smoking Carriage — a blend of 20-year-old rum and lapsang souchong syrup, which replicates sticking your head out the window of a steam train.